Kerin Ferrin (who you may know as Tuffets with Kerin) has become certified in teaching spectacular fabric Gems created by MJ Kinman, Textile Artist. Capture the brilliance of colored gemstones in these Birthstone work sessions. The work sessions begin in February 2019 and run for twelve months. You can pick and choose which months you want to attend and which gemstones you want to work on. Each month's individually packaged kit, which is purchased separately, includes the pattern, 1895 fat quarters picked by MJ to coordinate with the specific color-way of that month, fully-coded freezer paper template, full-scale paper copy to use as a key, 12-page pattern booklet that includes fabric requirements, and detailed instructions for block construction. Each pattern has a skill-builder component offering a unique opportunity to learn soft curves, sewing with small pieces and diamond shapes. 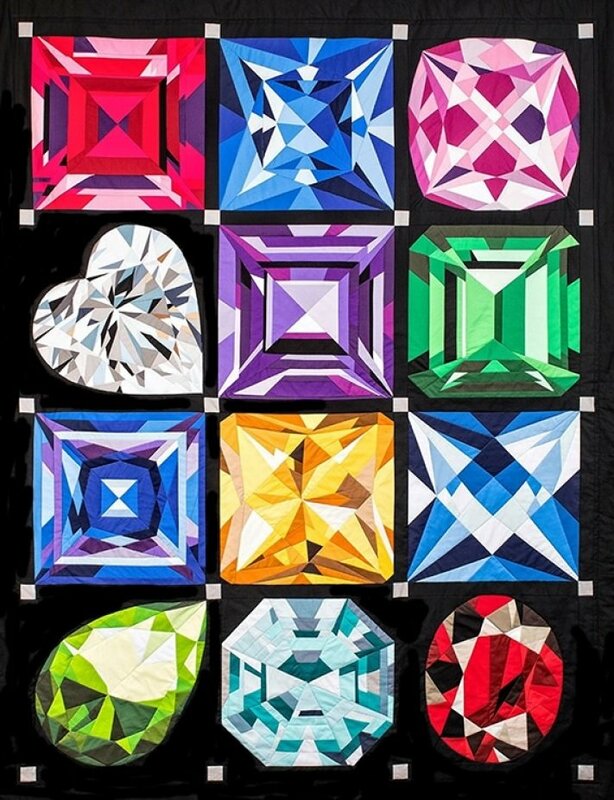 The Birthstone series is presented in a way that give us plenty of options from creating a single month to creating a “Jewel Box” quilt featuring all twelve months. The finished quilt is 57 x 75. Note: Single-foundation piecing is not typical paper piecing: templates are ironed to the RIGHT side, so there is no confusing reverse piecing; templates are easily removed and REUSABLE, so there are no paper bits to pull from the back of the quilt; reduces fabric waste since there is no flip-and-sew method used. 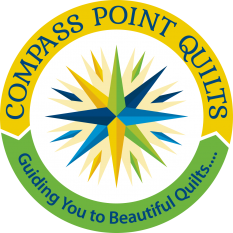 Join Kerin at CPQ to learn how to create the biggest Gems in the world~ in fabric! Individual Gem Birthstone kits are available for purchase. You can pick & choose which months you would like to attend and which gem birthstones you want to work on. CURRENTLY REGISTERING FOR FEBRUARY, MARCH & APRIL WORKSHOPS ONLY. Work session must have a minimum of 4 students to run.